The University of the Virgin Islands (UVI) Research and Technology Park (RTPark) is an economic development program that is designed to bring investment and innovation to St. Croix and beyond. 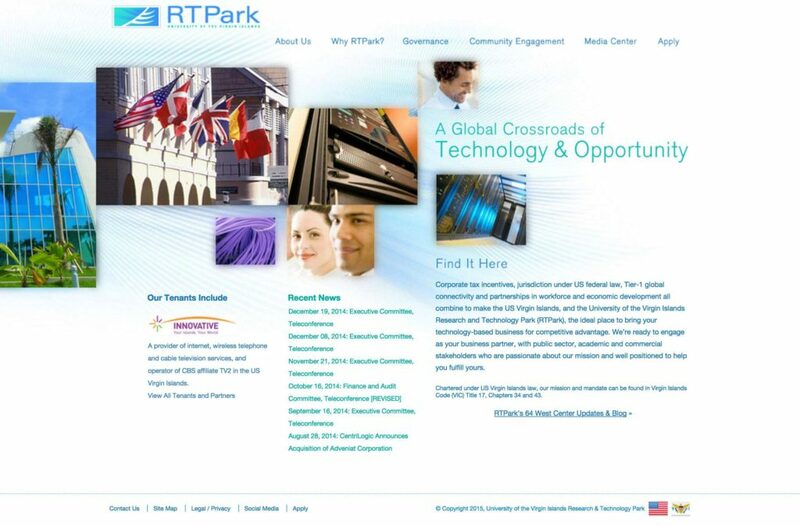 We were fortunate to work with RT Park and help them grow their social impact and digital initiatives. We provided extensive digital tools and software research and customization services, helped facilitate their request for proposal process, and worked on island providing public speaking engagements to promote social innovation and the activities at RT Park.